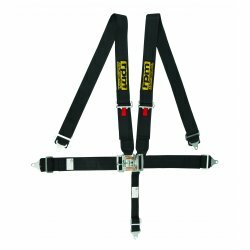 There are a few things you should never race without – a motorsport safety harness is one. As a driver you need to be secure in your vehicle in order to maintain control of the wheel, sharp corners, abrupt stops and occasionally, the unfortunate bingle with another vehicle or tree! When you’re racing a regular seat belt just doesn’t quite cut it, you need a harness! We have a large range or harnesses available to suit the occasional trackday to your dedicated racecars, so don’t delay and check out our motorsport helmets while you’re here.